Our friend Rick is in a concert band that marches in a few summer parades. When he found out that I twirled flag and rifle an eon ago in high school he asked me to twirl in their flag unit. Practices start less than an hour after Husband gets home from work. If I want to avoid a fast food meal on the nights I have color guard practice, I need a quick meal for dinner, like 30 minutes or less kind of dinner. Semi-homemade is one way to go because we eat most of our leftovers for lunch. Enter Farm Rich. I checked the Farm Rich website and found that their food is free from trans fats, hydrogenated oils, and high fructose corn syrup – things I don’t want in my food. Their meatballs are made from a combination of pork and beef, which made me think of Swedish Meatballs. Every Scandinavian has their own version of how to make meatballs. Yes, even us Danes. My favorite meatball recipes are the Swedish ones that use both pork and beef (hold the veal thank you) in the meatballs and calorie laden heavy cream and butter. Hm… I wonder if I can use the Farm Rich Meatballs and tweak a Swedish meatball recipe to make it a little less on the calories for a quick meal? The picture isn't out of focus. That's steam raising from the meatballs. Farm Rich Meatballs (or make your own from scratch) There are approximately 64 meatballs in a bag (when I finished it I used the empty plastic bag for doggie duty.) I was able to get two meals out of a bag. 1. Prepare the meatballs per the cooking instructions on the bag. I choose to bake mine for 30 minutes because it gave the meatballs a nice crispy texture. 2. Combine skim milk, yogurt, margarine, Worcestershire sauce, salt, pepper, ginger, and cinnamon over medium heat. 3. Stir in the cornstarch to thicken the sauce. 4. When the meatballs are fully cooked through, stir in combine the meatballs and meatball juices into the sauce (as desired) and heat through. It was delicious! The Skinny Swedish Meatball recipe is worth keeping. What about the Farm Rich Meatballs? 1. Farm Rich does not contain transfats, hydrogenated oils, or high fructose corn syrup in the meatballs or in any other Farm Rich product for that matter. Yay! 2. Farm Rich Meatballs can be prepared in the slow cooker, stove top, microwave oven, or conventional oven. I preferred the oven because it made the meatballs a little crispy and I could easily drain the juices if I choose. 3. These meatballs are probably going to be a better choice if you live in a small town or rural area like my parents and in-laws. They don’t have ready access to fancy schmancy gourmet groceries or as many choices to grocery shop at as I do in a large city. That's why I choose to review some less than perfectly green products like this, so you have options if you need them. As always, your mileage may vary. 1. Farm Rich Meatballs are a prepared food and I know some of you don’t like that. Sometimes our activities leave us in a time crunch for dinner and semi homemade is a better option because we refuse to eat in shifts. Family dinners are important to us even when the family consists of two people. 2. The meatballs are a bit high on the sodium scale but hey, it is a prepared food and that is not uncommon with prepared food including the organic stuff. Since I try to watch the sodium, it is better for me to eat Farm Rich Meatballs on occasion. I’m not sure how to call this one. If I were a staunch person (and I am about some things), I’d pan them immediately just for that fact that Farm Rich Meatballs are a prepared food in a resalable plastic bag. I reused the plastic bag for doggie duty because I have to bag it so again, I'm OK with the plastic bag while some of you may have issue with it. However, my life isn’t always so black and white and because that would be boring and unrealistic. Farm Rich Meatballs taste good. They are something that allows me to do a quick meal that doesn’t have transfats, hydrogenated oils, and high fructose corn syrup in the ingredients, which I am staunch about avoiding as much as possible. However, the sodium is high and while we don’t have heart or blood pressure issues, we try to follow a low sodium heart healthy diet so those problems won’t crop up early. You’re welcome insurance company. Nevertheless, we do make allowances along the lines of The Conscious Shopper’s 80/20 Rule because since Husband and I are so healthy, we can eat less than perfect food on occasion. Am I using the 80/20 Rule as a trick arrow for my quiver or as a cop-out? I will leave it up to you. What do you think? 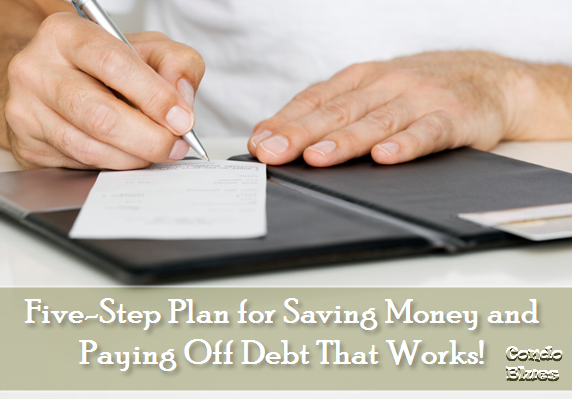 Five-Step Plan for Saving Money and Paying Off Debt That Works! Debit. It's all the rage these days. I know this subject well. I was responsible for putting myself through college. I graduated with a lot of debt. I racked up more because it took awhile to get a very entry-level job in my field thanks to the economy (which looks ducky compared to the economy today) which made for some lean times. I paid off most of my pre-marriage debt. With the exception of our mortgage, that is the only debt Husband and I have. I’m so successful at living a big life on a little budget and paying off bills that I developed a very popular course on saving money and reducing debt when I worked at an e-Learning company. My Home Owners Association (HOA) lawn service killed the compost bin I made from a garbage can with a lawn mower last summer. 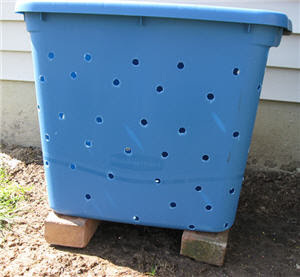 A worm compost bin (learn more about it here) would freeze in my garage. I didn’t want to be known as a Stewart of the Earth and Mass Worm Murderer. 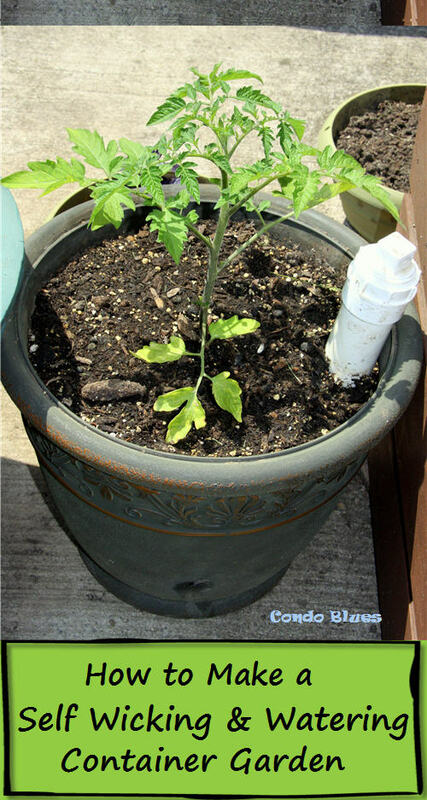 A tumbling compost would work best for us, and if it was smaller than the garbage can model that would be perfect. I had my heart set on an electric composter similar to these because I liked that it did all of the mixing and tumbling for me and you got a batch of compost every few weeks instead of my year long wait till it rots method. But before I make the spendy investment I vowed that if I can get the green to brown ratio right, don’t have slime mold or maggots, and get at least one batch of compost out of a new homemade compost bin then I will consider buying the electric composter . Don’t judge me Internet. I know I’m a little more than pathetic because I dream of compost bins instead something important like world peace. Pin this tutorial for reference! I’m Spring Cleaning and Stash Busting. I found a stash of laundry detergent and whatnot. Some of these old items aren’t compatible as they are with my High Efficiency (HE) washing machine because HE washing machine use less water and can overflow if I use my old mega sudsing laundry cleaners in it. I hate to throw anything usable away. I’m also kinda cheap in that way too. So I found a way to repurpose and save money by making my own green laundry stain spray, static cling fighter, wrinkle releaser, wool wash and laundry detergent. You can too. Here’s how. Mix ½ water and ½ laundry detergent in a spray bottle. Ta Da! Instant homemade laundry stain spray. This works with powedered laundry detergent too but you might have to shake the bottle to mix it up before each use. Soak stained items in a bucket with borax and water does wonders especially for whites. The cleaning power of borax impresses me with each new use I find for it. Pour shampoo directly on the stain especially if it’s a perspiration or ring around the collar stain. Wet and rub a bar of laundry soap like Zote or Fels Naptha (I've used both) on the stain before popping in the water. Note: For those of you who don't like to use animal products both of these laundry soaps have animal tallow in it. This isn't an issue for me but it may be for you. Soak stained items in oxygen bleach dissolved in water also works wonders. Pour a bit of liquid laundry detergent directly on stain and scrub the stain with an old toothbrush is also effective. Why buy more items than you have to, right? Scrub the stain with an old toothbrush and your favorite stain fighter. I mark the handles of old toothbrushes with nail polish so there’s no mistaking that the toothbrush has been repurposed for cleaning. Tennis balls in the dryer are the perfect homemade dryer ball. I got mine for free at dog events. Blitzkrieg donated them to the cause because isn’t a fan of hard toys. He’s missing some teeth from his bad old days. Cut dryer sheets in half and use the same sheet more than once. You might be able to get away with cutting them into fourths too. Mix ½ water and ½ fabric softener in a spray bottle. I keep a small bottle of homemade wrinkle releaser in my clothes closet because I’m not a big fan of ironing but I do like wrinkle free clothing. Spritz water in an old spray bottle on the wrinkle and gently stretch it out. I’ve had varying degrees of success with this one. Shampoo - works just as well or better than Woolite when hand washing wool sweaters. I make my own powdered laundry detergent using borax, washing soda, and grated soap. This recipe works in both conventional and HE washing machines. Do you have any laundry tricks or tips? Please share! If you are joining us from Something I Whipped Up Monday, The Persimmon Perch, Market Yourself Monday, Made By You Monday, Craftastic Mondays, Trash to Treasure Tuesday, DIY Day, Today's Creative Blog, Penny Pinching Party. The Girl Creative, Toot Your Horn Tuesday, Second Time Around Tuesday , or Show and Tell Welcome! 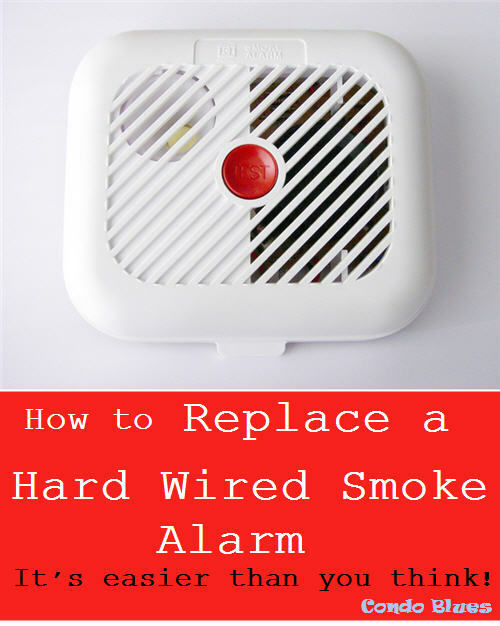 I tried three out of the four ways to repair a beeping or chirping smoke detector except one – replace it with a new model. Turns out my smoke alarm was broken and beeped, chirped and otherwise drove us crazy and Blitzkrieg in to false alarm barking spasms for far too long. Of course my broken smoke alarm was in my bedroom – the only room in the house with the cathedral ceiling. However it was a very easy and cheap fix to replace my broken smoke alarm with one that no longer beeps and wakes us up in the middle of the night due to a false alarm once we bought a very tall ladder. 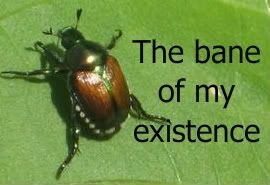 The natural predictors that keep Japanese Beetles from ruining plants in their native Japan do not exist here in the United States. That’s what makes Japanese Beetles so difficult to control and kill. One of the best organic and pesticide free ways to keep Japanese Beetles from eating and killing the plants in your yard is to simply remove the plants that attract Japanese beetles from your home and landscaping. If you have a Japanese beetle problem in your garden, you might want to thing twice about keeping or planting the following flowers, shrubs, vines, plants, and trees in your yard. Do you have any of these flowers, plants, or trees in your garden? Do you have a Japanese Beetle problem? How do you deal with it? 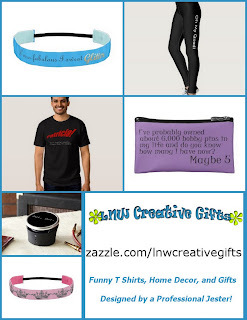 This post is part of the Get the Junk Out! Carnival where the topic is pesticide hosted by Heavenly Homemaker. This post is an updated and reprinted version of the post of the same title that appeared on 7/22/08. French Meadow Bakery has a wide range of breads, bagels, tortillas, cookies, and brownies that are various combinations of certified gluten-free, lactose free, casein free, lactose free, trans fat free, vegan, yeast free, certified USDA organic, and low gylcemic for diabetics. They contacted me about reviewing their products. I don’t have food sensitivities but I know some of you do and as a foodie, my curiosity was peaked. Since I don’t have any food sensitivities, I think I can give you a straightforward review of this bread and if it tastes like real food. The best thing that could happen is I find a yummy new bread. The worst thing that could happen is…well, I do have a compost bin. Husband I tried the French Meadow Bakery Hemp Bread (Low Glycemic, Vegan, Yeast Free), Healthseed Spelt Bread (Organic, Vegan, Yeast Free), and Flax and Sunflower Seed Bread (Organic, Vegan, Yeast Free.) We ate each flavor of the bread as toast with honey and again in a sandwich with turkey, sliced mozzarella cheese, and leftover homemade Thai Peanut Dipping Sauce. We taste tested multiple times because we have a habit of eating breakfast and lunch each day. The French Meadow breads are much more flavorful and chewy than the whole wheat bread I regularly buy. I’m really surprised because I was lead to believe that most gluten free food tasted terrible. There is a nice mix of grains and I really enjoyed the dense flavor and grainy texture of all the breads I tried. There were a few noticeable differences. The bread is sold frozen in the freezer case because it doesn’t have any preservatives in it. This isn’t an issue for me because I usually buy my bread four loaves at time and store them in the freezer until I’m ready to make a sandwich. As always, your mileage may vary. The Hemp and the Spelt had a nice multigrain flavor which is what I like and look for in dark breads. The Flax and; Sunflower bread reminded me a lot of a rye or sourdough in taste. So much that I have to keep double checking the package to make sure it was neither rye nor sourdough bread. Good job French Meadow. The Hemp bread is made from industrial hemp. In other words, the THC levels are so low it’s impossible to get high from eating the bread. Or from smoking a slice if that’s your thing. Since the bread is a little denser, it took a bit longer to defrost and toast. Not really a good or bad thing, just something to be aware of. This stuff is expensive - Up to $5.50 a loaf. Fortunately French Meadow Bakery has coupons. The slices of Spelt and Hemp loaves were significantly smaller than a traditional loaf of sliced bread. Makes sense since all of the breads we tried are yeast free. The verdict? While a bit more expensive than regular sandwich bread, I’d buy it again on occasion because it tastes good, which other than being transfat and HFCS free, is what I want in bread. Based on my good experience with the breads, I’m going to be on the lookout for French Meadow Bakery’s other products in the future and give them a whirl if I find them for sale. If you have gluten, yeast, dairy, vegan, or sugar sensitivities French Meadow Bakery’s breads are a great option that doesn’t sacrifice on taste. Well done French Meadow Bakery! Update 4/9/10 3:43 PM - I updated the types of bread with their designations. Turns out I didn't buy the gluten free varies of bread that I first thought I had but all are yeast free which is something I haven't tried either. Based on my experience with the breads I tried I will try to find the gluten free flavors of bread. Hey FTC in case you weren’t reading carefully: French Meadow Bakery gave me one free loaf of bread so I could conduct this review. I bought two more loaves with my own money for comparison. French Meadow Bakery didn’t pay me to say nice things about their product all opinions are my own and longtime readers know I can be very opinionated. Further Disclosure: I feel like a jerk going into this review and thinking this bread might taste terrible based on my limited experience with a gluten free beverage. I am so happy I was wrong about that. When I grew my hair long I had every intention of cutting it off and donating my hair to Locks of Love, an organization that makes wigs for kids who have lost their hair. I never managed to meet all of requirements when it came time to cut my hair. I didn’t want to just send it in anyway because children's wig charities have to throw away thousands of unusable donated ponytails each year. Instead, I decided to donate my hair to Matter of Trust for them to weave into hair mats that are used to mop up oil spills. Hair attracts oil and repeals water. They weave it into hair mats or stuff it into old nylons to make boons that are used to clean up oil spills. The good thing about using hair is that they can rinse the mats or boons and reuse them. Makes sense once you see an otter’s fur covered in oil. Donating my hair to clean up an oil spill might be the most crunchy hippie treehugger thing that I’ve ever done. However, I think it’s important given the Gulf of Mexico oil spill. And besides, what I am going to do with my hair once it’s off my head anyway? I could recycle my hair by putting it in compost bin or I could sprinkle my hair in my flower bed to deter deer from eating my plants. However Blitzkrieg keeps the compost bin filled with dirty fur and I don’t have a deer problem. What I do have, along with all of my American readers, is a horrific oil spill problem in the Gulf of Mexico. Ding! Ding! Ding! We have a winner! They get to recycle my hair. It’s kinda like my Gift of the Magi to the environment. I imagine that even the most hardened not so hippie treehugger person watches the news about the oil spill and sees the thousands of people who depend upon the ocean for their livelihoods and wishes that they could do something to help. You can. Get a hair cut. Get your kids hair cut. Heck, take your dog to the groomer and get their fur cut and donate the clippings. Here are the guidelines if you’d like to donate your hair or old nylons to be made into hair mats and boons to clean up oil spills. Obviously there is a great immediate need to help contain the Gulf Coast oil spill. Matter of Trust takes hair donations on an on-going basis, not just in times of emergency. You can do a one time donation of your own hair or you can get a hair salon or dog groomer involved and make on going donations. The company that makes the hair mats also sells them to organic farmers to use to suppress weeds in their fields as an alternative to harmful chemical fertilizers. Here are the hair donation guide lines. Your hair must be shampooed and dry. Every type of dog fur/waste wool is fine as long as it is clean. Your donation does not have to be bundled in a ponytail or braid. Just sweep in all clippings, without other trash such as gum, metal clips, etc. and put it in a plastic bag inside a box for shipping. They also accept washed, used/with runs nylon stocking donations to make the boons. You can put these donations in a separate bag in the same box with your hair donation. They also accept other natural fibers such as horse hair, dog fur, feathers, and waste wool. When I got my hair cut, I told my hairdresser that I wanted to save the clippings to donate to Matter of Trust. She didn’t think it was weird but I get my hair cut in one of the crunchier parts of the city. She only asked if she had to bundle my hair into a pony tail and cut it off – the answer is no. My hairdresser washed and cut my hair as usual. When she was finished she swept up the hair clippings and put them into the empty bread bag I brought with me for that purpose. I signed up with Matter of Trust. They emailed me the address where I should mail my donated hair. Since there is an emergency oil spill clean up they are sending hair donations to be made into boons to multiple points along the Gulf Coast. If you donate now you will most likely get a different address than I did. I trooped down to the Post Office and mailed my package. Easy! In case you’re wondering, here’s the new ‘do. Have you ever donated your hair to a worthy cause? Have you even considered it? Update 5/5/10: I got an email from Matter of Trust (I'm on their mailing list now because of my donation) that said that Hanes is donating a bunch of nylons to be stuffed with donated hair and made into oil soaking bones to help clean up the Gulf of Mexico Oil Spill. Very cool. Neither organization is paying me to mention this. I saw it and thought you might want to know. This is my post for the Green Moms Carnival, which is all about transportation hosted by Big Green Purse Monday, May 10, 2010. All of the changes were easy to implement and have stuck, with the exception of the humidifier because we aren’t running the furnace anymore. That’s a seasonal change. 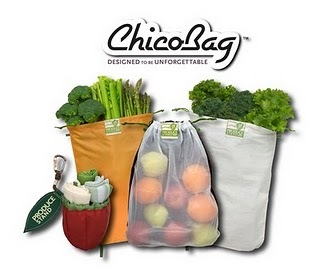 I have to admit, after doing my 20% Energy Reduction Challenge and tackling some of the more common green changes like switching to reusable shopping bags and resuable water bottles (well not really switching, more like trying to use them more often), and using cloth table cloths and napkins. I didn’t think there were a lot of changes I could make other than the big, expensive ones like buying a hybrid car. The One Small Green Change Challenge changed my thinking because I started to look at those little things that I knew I should switch out like that flaking Teflon griddle but didn’t because it’s easier to not use it and stick in back into the cupboard. In honor of Cinco de Mayo I wanted to use one of my favorite vintage tablecloths that my mom embroidered when I was wee little or even pre-me, I’m not sure which. Anyway, it’s square and didn’t fit her table so she gave it to me. Kitschy, Free, and Festive! What's not to love?